The monthly reporting template is a file that can be used to manage a school’s day to day bookkeeping activities. Remember – the FSSU offers remote support so if you encounter any difficulty when using this template you can call our support line on 01 9104020 and you will be assisted through the process. 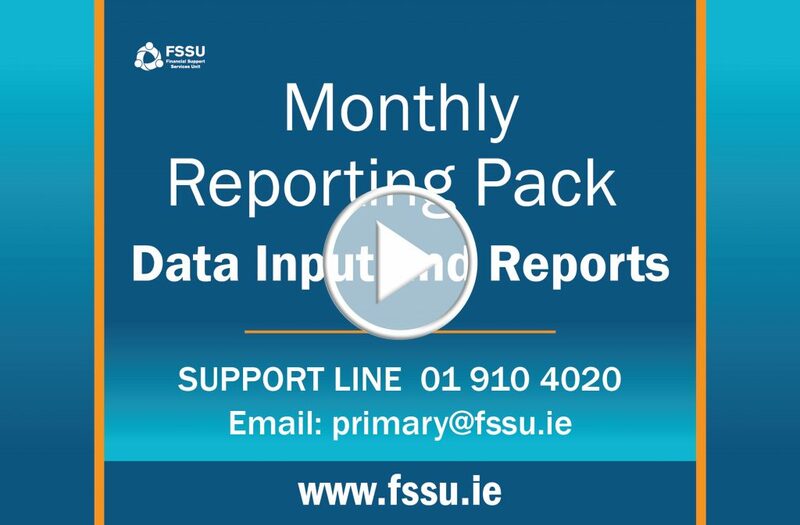 Please click on the image below to view a short introductory training video on using the FSSU Monthly Reporting Template. The financial reports should be prepared for each Board of Management meeting in advance detailing up-to-date financial information showing receipts and payments summary, a bank reconciliation statement and a short progress report on the funding activities currently engaged by the school.